As one of the highlights of ECIO 2019, CIRSE is extremely honored to welcome Professor García-Mónaco to deliver the Honorary Lecture. Ricardo García-Mónaco completed his medical degree with honours at the University of Buenos Aires in 1981, before successfully sitting the boards of Radiology and Imaging Diagnosis of Argentina’s National Ministry of Health in 1988. A fluent speaker of Spanish, English and French, he acquired a Diplome de Résonance Magnétique from the University of Paris in 1990, before returning to Argentina and taking up a double post as Associate Professor of Radiology and Programme Director of Interventional and Vascular Radiology at the University of Buenos Aires in 1996. Prof. García-Mónaco completed his Doctorate (PhD) in medicine in 2004, and became a full Professor of Radiology at the University of Buenos Aires in 2007, the same year he became Director of the university’s radiology medical school programme, a position he still holds. His extensive post-graduate training took him to many corners of the earth: following his initial residencies at the Hospital Italiano in Buenos Aires, he completed training in Angiography and Interventional Radiology at Bicêtre Hospital, University of Paris from 1988-1992, and Visiting Fellowships at both New York University, USA and Toronto Western Hospital, Canada in 1990. Returning then to France, he worked as Médecin Assistant a Titre Etranger at Hôpital Bicêtre and as a Consultant IR at the renowned Institut Gustav Roussy in Villejuif. Since 1992, Prof. García-Mónaco has been Head of Endovascular Therapy and Interventional Radiology at Hospital Italiano, and since 2005, also holds the post of Chairman of the hospital’s Department of Radiology. His international medical career is complemented by his active membership of many medical associations, including the Radiological Society of Argentina (SAR), the World Federation of Therapeutic and Interventional Neuroradiology, CIRSE, RSNA, the Société Francaise de Radiologie (SFR), ESR, the International Society for the Study of Vascular Anomalies (ISSVA), the Society of Hepato-Gastroenterology and the International Society for Strategic Studies in Radiology (ISSSR). He is an SIR Fellow, and is also a Founding Member of the Argentine College of Vascular and Interventional Radiology (CARVI), which he currently serves as President. Prof. García-Mónaco is also the current president of the International Society of Radiology, and has previously served as President of Sociedad Argentina de Radiologia and the Interamerican College of Radiology. Prof. García-Mónaco is a prolific researcher and educator, having delivered 477 scientific or educational presentations at national or international congresses, and having 227 scientific papers published in national or international journals. He is also author or co-author over 70 books or book chapters. He is a peer-reviewer for acclaimed journals such as CVIR, Radiology, JVIR, Thrombosis and Radiographics, and serves on the Editorial Committees of Interventional Oncology 360, Digestive Disease Interventions and Revista de la Sociedad Iberoamericana de Intervencionismo, amongst others. Prof. García-Mónaco has received awards for 39 scientific presentations (24 national and 15 international), and has been conferred honorary membership of ESR, RSNA, the Société Française de Radiologie and the Societa Italiana de Radiologia Medica (SIRM), amongst others. 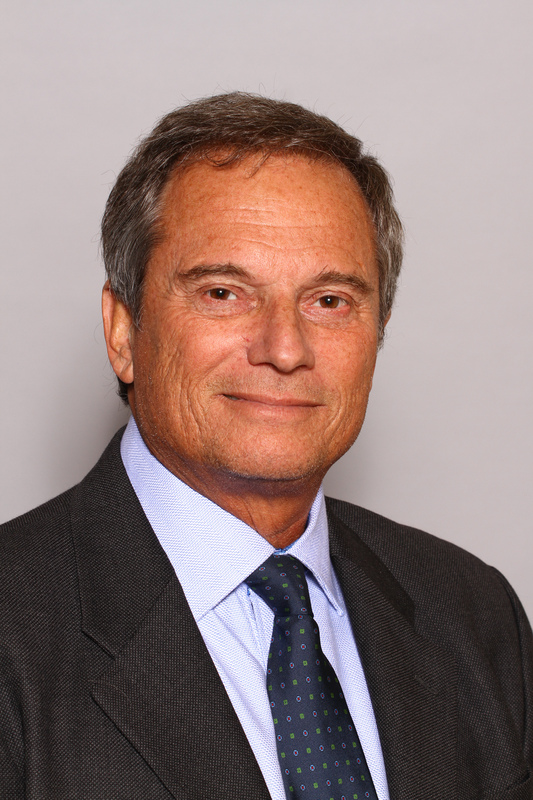 He has received the Gold Medal of the Argentine Society of Radiology (SAR), and has served on many advisory boards and educational committees, including his current posts as a Member of the ISSSR Membership Committee, Member of RSNA Vascular/ Interventional Education Exhibits Subcommittee and Chairman of the IT Education Committee of ISR.